I just got my new beauty in. I purchased the GCV Bouree from fiddlershop and man am i glad i did! It is so much more beautiful then i could have imagined. The craftsmanship in it is astounding. and granted i'm newer to violins and i only have my mute violin and my husbands acoustic to compare to i am happy to have bought it. 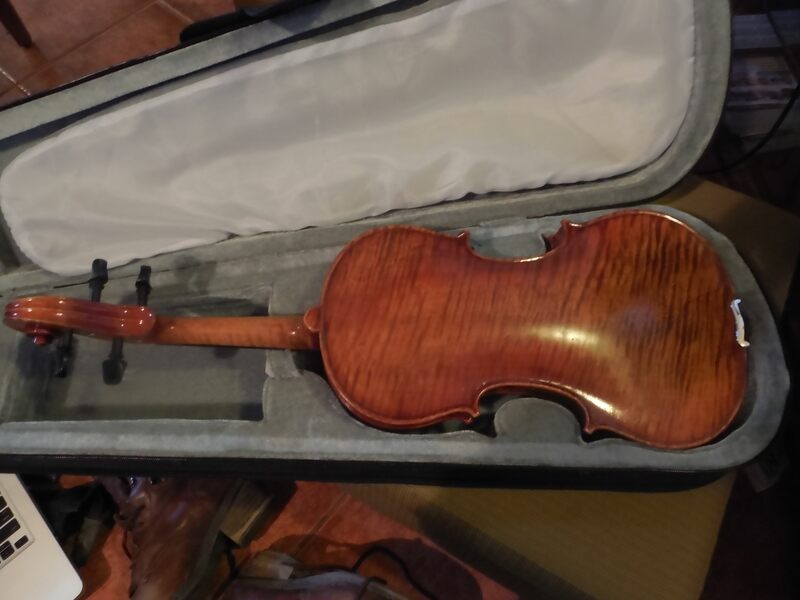 It's about 2 times lighter then my other violin which i find funny since my other violin is missing most the body. but the ease of which i can play the GCV is awesome! 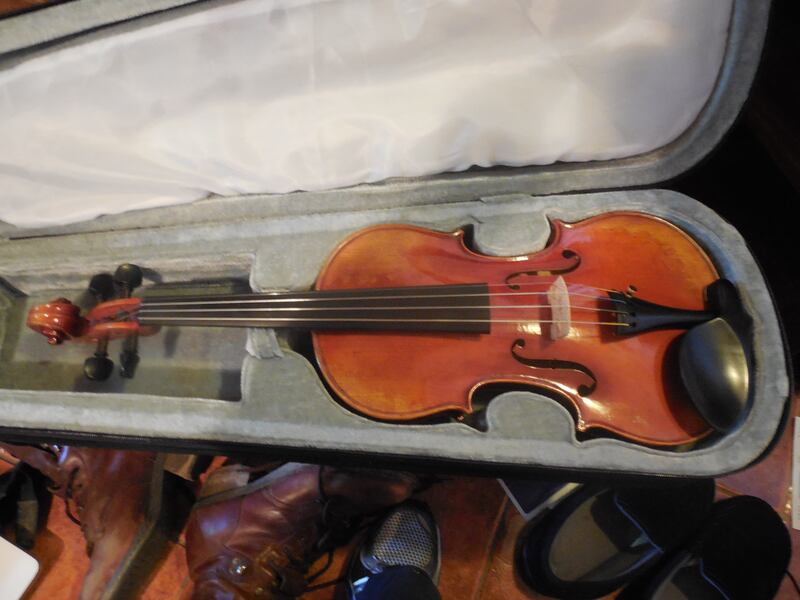 I always had to work so hard to play on my cheap violin and hitting the notes on this baby is so much easier. 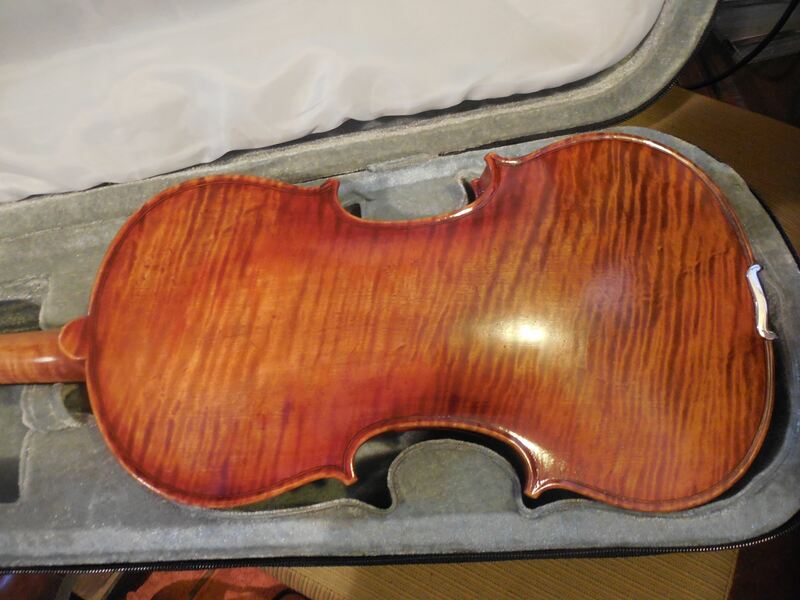 i feel i can actually truly work on my and fingerings without becoming tense as i do with my other violin. even though i've only gotten to play it about an hour i am so happy i talked the hubby into letting me spend the money. i can't get over how beautiful it is! if anyone else has a Bourree i'd love to hear what you think. or just your comments over all! Now off to go practice some more! Sure looks SWEET!!! Can't wait to hear it. Glad you like it Lindsey. I kind of knew you would. I LOVE those violins and we are buying more and more of them all the time. We may soon be the dealer that sells to most GCV's and the Bourree is an incredible value. I am seriously impressed every time I test one for a sale. Thanks for your great review and kind words about our service. What a beauty.. thanks for sharing. Can't wait to hear it. your so very welcome fiddlerman! i wouldn't be where i'm at with playing violins without you guys! i'll get a video posted soon as i get used to the slightly different, and but more comfortable position my left hand is in now. funny how such subtle differences make such a huge difference in playing! i can actually relax, for the most part anyways, while i play! i can't wait to get home to play it! It looks very nice. I know you have to be excited. I can't wait to hear it. Very nice... It would appear you'll have a long and happy future together. Now for the fun part to begin!